Hellooo world, its been ages I know and I am covering my face in shame at my Inconsistency, I need to change right? This post is long overdue, i just kept putting it off. As usual this is another budget friendly protective style post. I am all for cutting costs when possible. 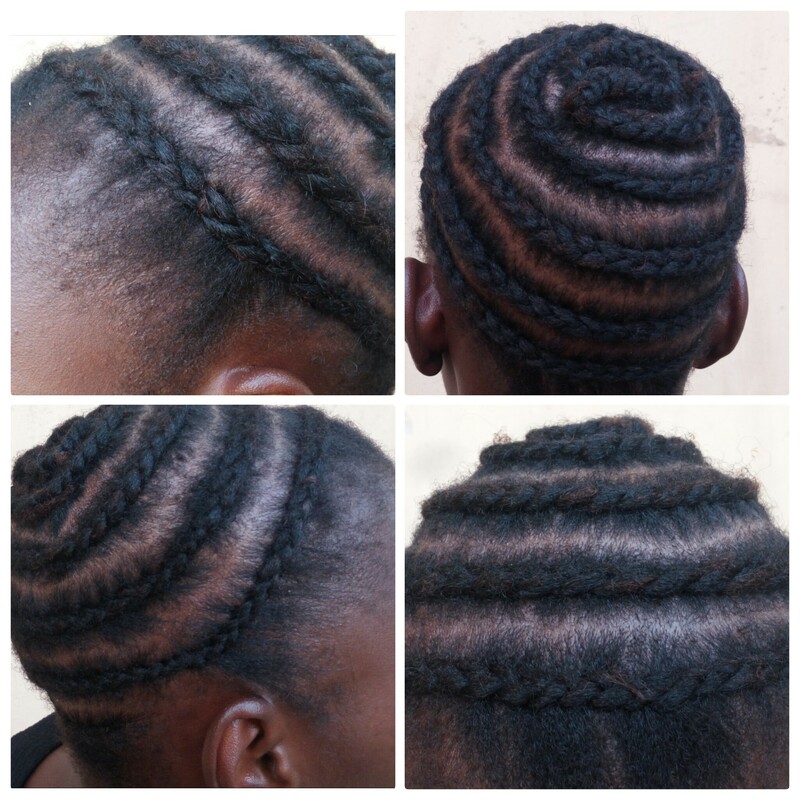 Crochet braiding is my favourite for protective styling. Each pack cost me four hundred and fifty naira only(450), I got mine at trade fair market in Aspanda it might cost more else where. I paid a stylist to help me weave my hair in a circular pattern because of the bangs I wanted. It took me at least three hours (3) to finish up in between making dinner and gisting with my peeps. Trust me It shouldn’t take that long😒. The expression multi is really great and it’s easy to maintain, I had the hair in for five(5) weeks and the curls didn’t tangle or mat up. To keep the curls shiny I spray it with oil sheen once every week, at night I do the pineapple, put on my satin bonnet and go to bed. That’s all I did to maintain the curls. Easy right? Your hair is soooooo cute! It looks all luscious, great post! This is awesome and I love it!